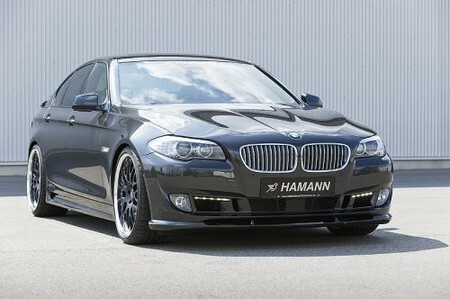 The first complete and professional body kit for the new BMW 5-Series comes from Hamann. This styling kit consists of front spoiler, side skirts, rear diffuser, new exhaust pipes, trunk lid wing and roof spoiler. There is also new LED lights mounted into the front bumper. As usual you get a new set of wheels which you can choose between different models of 20-inch rims they provide. Engine tuning and other accessories are currently in the works and will be announced later.